It’s good news that housing is on the rebound and you can improve your home’s value even more! Luckily for you, you don’t have to put thousands of dollars into remodeling to boost your home back up to the value it was in 2007. Whether you are looking to sell now or well into the future, there are a few things you can do that can easily improve the value of your home. 1. Slapping on Paint: This is the number one home-improvement project homeowners will try themselves. There are two keys to a good paint job: choosing the paint and prepping the surfaces. Splurge on quality paint, as well as brushes and rollers. If you’re not sure of the color you want, rent a sample (yes, most full-service hardware stores will let you do this). Prep the surface by cleaning the walls, sanding them, and patching holes. This accounts for the majority of the work and will make your house show better (improving its value). 2. Finish the Basement: A family can add as much as a third more space to a two-story house for a moderate cost (only a fraction of what it would cost to build a third onto a home) and recoup as much as 80 percent of the investment upon selling. Determine the basement’s condition, including waterproofing, a sump pump, and making sure there is adequate heating and cooling that doesn’t drain the other units. 3. Lose the Kitchen Wall: Many older homes have a wall that separates the dining room and kitchen. By knocking down that wall, the space is opened up and voila! A new look that can allow you to recover 70 to 80 percent of the cost of the renovation. The rest of the kitchen may need to be updated with wood cabinets, non-laminate countertops, and non-vinyl flooring. 4. Try a Little Bathroom Remodel: Keep up with today’s amenities by updating your bathroom with double sinks, brushed nickel fixtures, powerful multi-head showers, and toilets in their own alcoves. Rather than spending $30,000 on a complete overhaul, you could purchase a new toilet, sink, and fixtures for a fraction of the cost. 5. Window Treatments: When we purchased our current home, one of the main features the real estate broker, the seller, and the neighbors kept talking about were the windows. They were double-paned Pella windows, which was as nice an accessory to a home as Prada handbag is to a fashion maven. According to Remodeling magazine, this investment could be as much as a 75-percent recoup upon selling. 6. Do the Little Things: While living in your home, there are projects along the way that will add value. First, have your carpets cleaned annually to improve the chances that the next homeowner will be able to live with them. In between cleanings, vacuum regularly and clean up any spills with a stain-remover. Another small step is taking care of your yard. Obviously, manicured grass, living plants and a groomed landscape make a home look better, raising its value. My husband was constantly enlisting the help of our sons to keep both our front and back yards clean and beautiful, and we get to enjoy them well before we sell our home. What are ways that YOU improve the value of your home? First of all – I’m going to be signing “Heroes at Home” at MCRD (Marine Corp Recruiting Depot) in San Diego at the MCS from 2:00 to 4:00 on January 31, 2013. So please come by and say hello and I’ll be happy to answer any military family finance questions you may have! 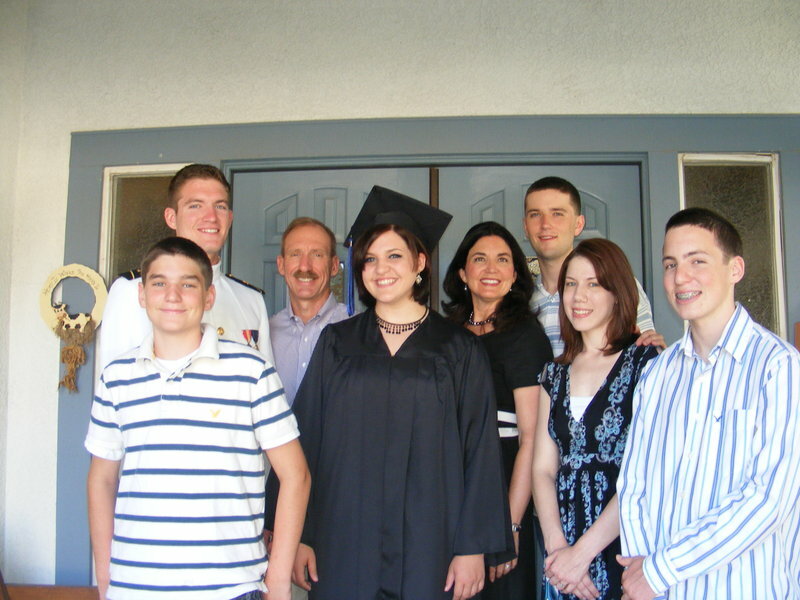 We lived in eleven different military houses in the first thirteen years of marriage. We weren’t exactly thinking about the American dream of owning our own home, we were just satisfied if the carpet came with the house and we could get enough bedrooms to have the kids only sleep two to a room! But, eventually, we slowed down our military moves long enough to buy a home and it was worth the wait. Whether you are a reservist, guard or active duty, you may be in a position to ask a very common question in today’s economy—is now a good time to invest in a home or should you rent? Here are some ideas to help you determine the housing climate for your situation. The “Dream Makers” program from the PenFed Foundation offers grants up for $5,000 to first time homebuyers of modest means who work in the service of our country’s defense. So go to this site to see if you qualify to be one of those who make home ownership a dream come true! Is the housing market finally starting to recover? Larry Shover, author of Trading Options in Turbulent Markets and a regular expert on Fox News says, “The sheer fact that median rental yields are more than 1.5% higher than the average 30-yr fixed rate mortgage should help support property prices.” People are starting to invest in housing again, whether they are buying it for a family home or as investment property to rent. So now can be a very good time to buy if you plan on keep the home at least three years or if you live in an area where you have the potential to rent out the home when you PCS. The primary problem that could potentially ruin your sunny days is unemployment, which is expected to remain well above 8% for the rest of the year. If you are active military and plan on staying in the military, then this would not have a great impact unless you depend on the spousal employment to meet the mortgage obligation. However, if you are a Guard or Reserve family or if you are active and plan to separate and find a new job near the house you just purchased, then unemployment is something to take into consideration. The same is true for underemployment: if you don’t get the salary you need to meet your monthly payments. If either of these conditions are on your horizon, then it becomes a riskier endeavor to take the plunge in the housing market. According to VA data, there are 23.8 million U.S. Veterans and less than 10 percent of them—2.1 million—have VA loans. “A VA loan is very attractive to most mortgage brokers,” says a representative from USAA home mortgages specializing in U.S. Department of VA loans. He adds, “VA loans have looser underwriting standards than conventional and even Federal Housing Administration (FHA) loans. With a VA loan, veterans can get 100 percent financing without private mortgage insurance (PMI) and lower interest rates.” Plus, you can get up to $3100 when you buy and sell your home through MoversAdvantage with USAA. Christine Francis says her clients have been getting 3.75% interest rates on VA loans. The other advantage is that sellers are allowed to cover all closing costs, prepaid items and discounts. This lets borrowers essentially walk into their new home with no down payment, no closing costs and a 30 year fixed rate with no mortgage insurance. Plus, with values expected to rise even more toward the end of 2013, the home you buy low, is likely to increase in value almost as soon as you close the deal. See you at the book signing! Q. I’m in my mid thirties and I haven’t had the problem of friends and family asking me to co-sign on a loan before. But in the last year, I’ve had three requests for this. What’s your advice on co-signing a loan? Ellie: If you have a friend or relative who needs a co-signer, then that means their credit is so risky that no lender will give him money on his own credit history. The question is: why should you? The answer is that you should not! Even though it may come across as “helping a family member out” it’s still a business transaction and when you set the precedence of co-signing on a loan—be prepared to do it again and again. If not for the same person, then for another friend who may say, “well, you did it for Jennifer, why not me?” You have to assume you will be the one repaying the loan & you won’t have the associated asset, so it can’t possibly be a good business move. Q. We are boomers in our early sixties and we were thinking of getting a reverse mortgage. Is this a good move for people our age? Ellie: Recently, you’ll see older actors on commercials offering these kinds of mortgages to seniors who are house rich and cash poor. They are portrayed as a viable means of getting a steady stream of income that is easy to obtain. But the fees and other costs associated with reverse mortgages can sometimes be considerably higher than on other loans. This is a bad money move unless you have no other income than social security and because of the high cost fees, it should be a last resort not a first resort. The better option would be a home equity loan. You could sell your home and move into a smaller, less expensive house. Or, you could sell the home to your kids and have a multigenerational family under one roof—this is a recent trend I’ve seen emerging. Your kids can use the inheritance to pay down the mortgage. Q. I have $10,000 in Stafford Student Loans, an $8800 car loan at 9.99% and two consumer loans at $3500 and $3700, both at 12%. All my loans are current and I have $1000 to put toward one of these loans—which one should I choose? Ellie: It’s great that you are current with your payments and even better that you have an extra $1000 to put toward your debts. I recommend that you put the $1000 toward the $3700 loan at 12% in order to retire the loan. Then once you’ve paid off that debt, double up the payments on the $3500 loan. You will feel motivated by the fact that you’re paying off debts and you will also experience the “snowball effect” where you gain momentum in paying these debts and as you pay off one bill, you can put those monies toward the next bill. Before you know it, you’ll have all your debt retired! Q. Last year, my teenage daughter couldn’t find a summer job and ended up kind of wasting those months. She tried hard, but there just isn’t much work where we live. Do you have some ideas that maybe we haven’t thought of in terms of summers for this age group? Ellie: Summer camps are a great place for kids like your daughter to plug into a summer job. My daughter, Bethany, found a job through the American Camping Association by going to www.acacamps.org/jobs (or just google “American Camping Association” and “jobs.”) She’s making enough for her college spending money and gaining the opportunity to impact the lives of young campers as well. Another way to broaden a resume for this age group is to go to the local, state or federal political representative from your district and offer to intern in the office. My son, Jonathan, did this last summer as a high school sophomore and this summer as a junior as well. He only volunteered a few hours a week at Congressman Buck McKeon’s office (California) and it made such an impression on his resume that it helped him get into an exclusive summer leadership seminar at USAFA (United States Air Force Academy). His summer internship contributed to the community and it also has contributed to his future as he applies for college scholarships. Q. My grandchildren are teenagers and are coming to live with me for the summer. I wanted to know if you know of some jobs they can do where they could make some extra money, but still have time for fun, too. Ellie: Connie, if you email assistant@elliekay.com, we can send you a file that includes 30 different jobs your grandchildren can do locally and make good money as well. Just ask for the “Kids Jobs” file. There’s also a list of safety items you should check out before they work for someone they do not know. For example, there’s job’s like Rent-A-Kid where there may be people in your church or neighborhood who need odd jobs done. There are also jobs like window washing, Garage Cleaning Service, Babysitting Services for summer groups that meet, Mail Checkers (for those who travel out of town), and even Pet Minders. Is going on a tour with a large group the least expensive way to go to big tourist destinations? How can I save money on this trip? Ellie: Tour groups with your church or community may not be the cheapest route to go since someone usually gets a free trip or two by booking a large group. In some cases, you actually pay more money to go to Israel with a reknown author or professor than you would if you go on your own. To help save money, go to the website GoIsrael.com and do as much planning as possible. Stay in a hostel, guest house, or a kibbutz, which comes with a free breakfast. Buy a pass for all national parks in order to save as much as 35% on the most popular attractions. Q: Our company downsized and I laid off work. I’m thinking of launching my own homebased business, but there’s so much out there, I’m not sure what I should do. How do you know it’s a good business to get into and what should I keep in mind as I make my decision? Ellie: One area of our economy that is thriving is direct sales companies (DSC) as people explore new ways to make money. As you are searching for the best fit for you in your homebased business start with following your passion. Do you love to cook? Then Pampered Chef may be a good option. Do you enjoy wearing the latest styles in jewelry, then try Premier Designs. If you follow your passion you are far more likely to succeed. But all DSCs are not created equal. Before you decide, find out what kind of inventory you have to stock. I know far too many people who went into debt to buy their inventory and then quit the business within a year—but kept the debt! Also find out the percentage you make on sales as well as the hostess plan that the company offers. Does the company take care of filing sales tax for you or do you have that job, too? For more information, email assistant@elliekay.com and ask for the “Homemade Business” file. Have fun pursuing your passion! I remember when we sold our home in New Mexico and relocated to California! We learned to save a lot more on closing costs than we ever thought possible. Do Ask for a Good Faith Estimate — Within three days of applying for a mortgage loan, lenders are required to give you a good faith estimate (GFE) on costs. Look at GFE sections 800 and 1100 for the following fees and be prepared to haggle lightly for reductions. Don’t Pay for Inflated Credit-Report and Courier Fees – Some lenders are charging up to $65 for pulling your credit report. That is unusually high, considering the fact that credit reporting bureaus only charge $6 to $18 per report. Using the same tactics, some lenders charge courier fees for shipping your closing documents for as much as $100, while the majority of overnight express services only charge $22. Tell your lender, up front, that you refuse to pay any more than the going rate for these services. Don’t Pay for Document Prep and Administration Fees – The origination fee should include these services, so don’t pay them! Ask your lender to waive these fees. Don’t Pay for Yield Spread Premiums – Lenders increase your interest rate slightly to include origination and other fees so you don’t have to pay them out-of-pocket at closing but some lenders and mortgage brokers are double dipping—by charging both the fees and the higher interest rate. If they advertise “pay no closing costs” then this is what they really mean. Ask your broker directly if a firm charges you a yield spread premium. If so, you shouldn’t pay any additional fees. Don’t Pay for Padded Title Insurance Fees – When you are shopping for lenders, look for all the above, plus look out for those who don’t tack on a lot of extra charges for services such as title search and document preparation. Theses can add hundreds of dollars to your closing costs and they really should be included in the price of title insurance, which depending on where you live, can be as high as $6,000. Do Ask for your HUD-1 A Day Early – Federal law requires lenders to give mortgage applicants a copy of their settlement form at least one day before closing, but many won’t give it unless you ask for it. Compare the HUD-1 with your GFE (good faith estimate) and bring any errors to your lender’s attention. I was on MSNBC a little while back and several of you have written me for the link. I did the show live from the west coast NBC Bureau. It was a CRAZY day, but it worked out. We got the notice that I needed to leave (and be camera ready) in 1.5 hours. Then the car service did not arrive and when I called them, they had the wrong time (east coast instead of west coast). This meant I had to hop in my roadster (good thing it’s fast) and just start driving, getting directions (via my cel) while in the car. They bumped the segment to the bottom of the half hour in order for me to arrive at the studio in time. I walked in, did the show and then left right after. I’m always amazed by the stats involved in media –2.5 million viewers, the equivalent of $150K in advertising for the 5 minutes I’m on the show–really wild. But I also got 6 really quick and easy tips into the segment to help consumers. One of the things I’ve been talking about in the media is the entire question of “do I rent or do I buy?” Well, I’ve got a handy dandy rent vs. buying tool on my website (along with a ton of other cool calculators) that can help you crunch the numbers. Generally speaking, if you are going to stay in your house for 5 years or longer, then it is a fantastic time to buy. But you also need to know what kind of mortgage rate you will get, if you have ample downpayment and if your job looks secure enough in the future to be able to take on the responsibility of a home (not to mention all the associated costs like upkeep, utilities, taxes, insurance, etc). Long gone are the days of mortgage lenders overlooking debt versus income ratios and not following up on applications that could include falsified information. So if you know someone who is considering taking this big step, direct them to this tool and it could save them a huge headache! Homes – To Buy or Not to Buy? My husband, Bob and I lived on military bases for the first dozen years of our marriage. When you move eleven times in thirteen years it doesn’t make sense to buy! When we finally settled one place long enough to purchase our first home, we were thrilled and had “imposter syndrome” for the first month or so. We kept waiting for the “real” owners to show up and kick us out of the house! Alas, it was a dream come true and we truly enjoyed that home. Now…I know what some of you are thinking–is that a picture of my house? No, it’s not, it’s just one of the many, many gorgeous homes that are on the market in America. We sold that first home and the next year property values plummeted in the area. Not all Americans are having such good timing in buying and selling. Last week the average fixed rate mortgage was at its highest since last October , 2007, with a 30 year averaging 6.32%, up from 6.09% but still below last year’s rate of 6.74%. It appears that the rate will continue to creep upward, so if you were thinking of buying a home, now would probably be a good time. It can turn from a buyers market to a sellers market in a relatively short amount of time as those extra properties are purchased and taken off the market. When You Buy A Home: Don’t Pay for Yield Spread Premiums – Lenders increase your interest rate slightly to include origination and other fees so you don’t have to pay them out-of-pocket at closing but some lenders and mortgage brokers are double dipping—by charging both the fees and the higher interest rate. Ask your broker directly if a firm charges you a yield spread premium. If so, you shouldn’t pay any additional fees.